We’ve been a B Corp since 2014, defining business success in terms of people, planet, and profit. B Corps are part of a global shift to redefine success in business and to build a more inclusive and sustainable economy. B Corps envision a global economy that uses business as a force for good. Certified B Corporations are businesses that meet the highest standards of verified social and environmental performance, public transparency, and legal accountability so you can purchase with a purpose. New Chapter® has long been working toward an organic, sustainable world. We were the first in the supplement industry to produce vitamins and supplements under the standards of the National Organic Program and our entire multivitamin line is third-party certified to be made with organically grown vegetables and herbs. New Chapter is also committed to avoiding genetically modified organisms (GMOs) whenever possible and were pioneering advocates of the Non-GMO movement. All of our multivitamins and herbals are Non-GMO Project Verified. New Chapter is devoted to several philanthropic partnerships in Vermont. We align with organizations focused on healing for both planet and self. We support The Warrior Connection, an organization committed to improving the well-being of veterans and their families. New Chapter also actively supports the Vermont Foodbank which provides meals for the 1-in-4 food insecure people in Vermont. Groups of employees help glean local fields so bountiful crops are not wasted and more fresh food is distributed to those in need. 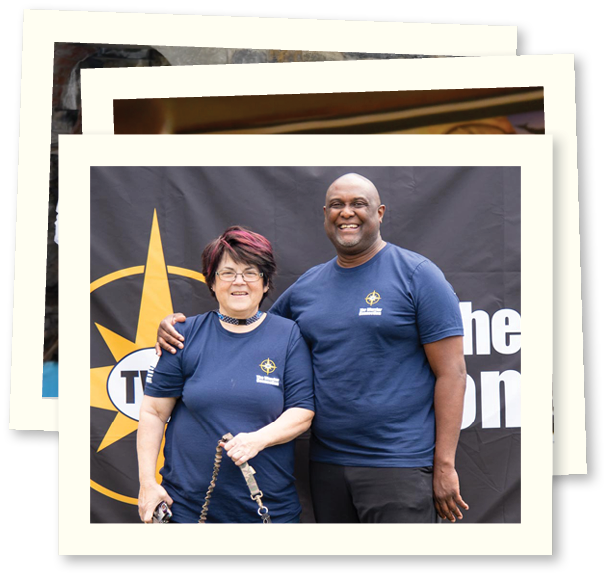 Every employee gets 8 paid hours to volunteer in their home community each year. New Chapter is committed to honoring employees’ growth and fostering teamwork. Employees articulated our Work Ethic and Core Beliefs, then formulated these into our company Credo which we use to guide decisions large and small. Employees celebrate and encourage one another as we work to bring our products to customers. 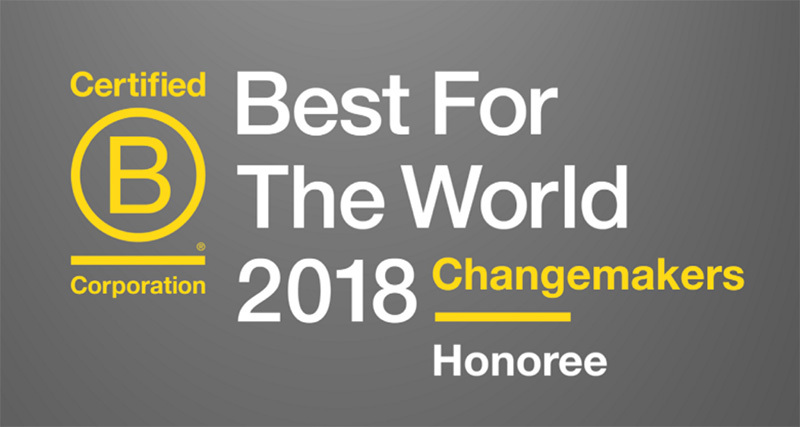 New Chapter was recognized in 2018 as a Changemaker. Changemakers are B Corps honored for having the most improvements across all areas of the rigorous B Impact Assessment. 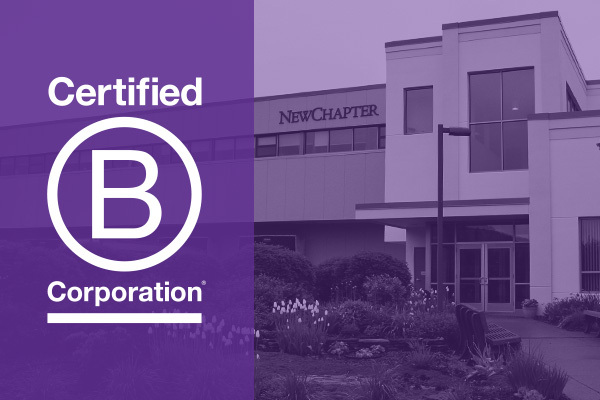 Learn more about our bi‑annual B Corp assessments here.